There are many options when it comes to setting up a patio and selecting a deck flooring option – so what should you choose? 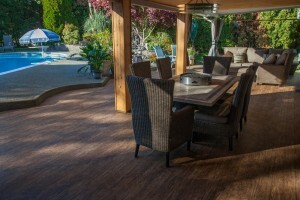 Tuff Industries explore why vinyl patio deck flooring is a great choice. Installing new vinyl patio deck flooring is a quick and easy way to revitalize older patios and sundecks, without having to rip out the existing deck structure (if there is one). You can also use it to cover up older patios that might not fit in with a revitalized home (such as one with new siding) and hid unsightly concrete blocks, patio stones, or cracked surfaces. In just a day, you can have a brand new vinyl patio surface to enjoy for years and years. In rainy climates, you want to ensure that any rain that hits your patio or sundeck can runoff away from the house to prevent the possibility of flooding in the substructure or damage of wood components that make up joists and siding. Rather than tearing out a patio in order to re-level the ground, consider covering the patio with a vinyl membrane. 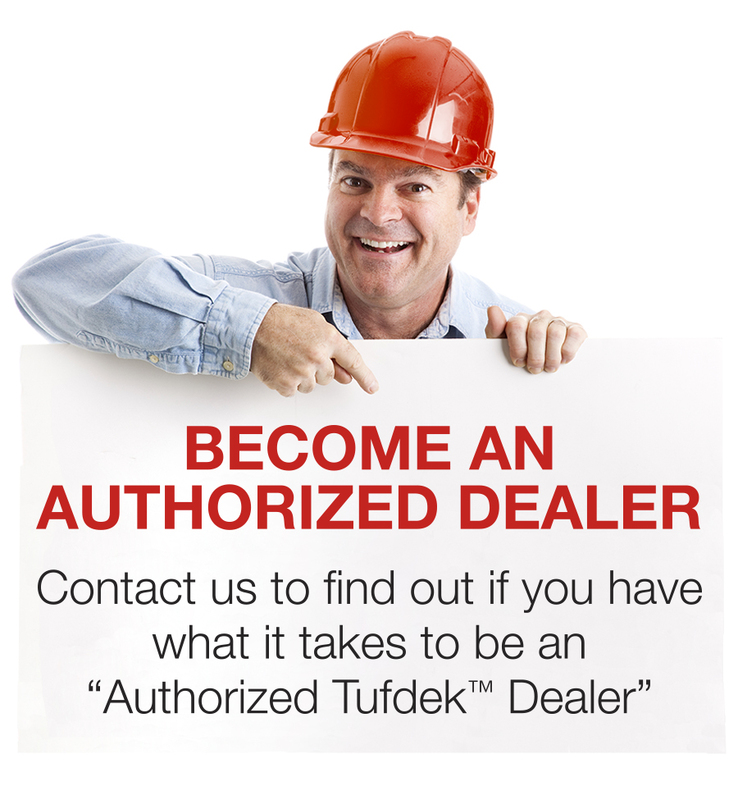 A contractor can ensure that before the waterproof membrane is installed that any leveling issues are addressed. Typical patios are comprised of brick or concrete block, which may not offer a lot of comfort for kids or pets looking for an outdoor surface to play or rest on. PVC vinyl decking offers a comfortable patio surface, one that stays cool on hot days and stands up to the rigors of family life. You can spend more time enjoying a vinyl patio since you’ll spend less time on maintenance than with traditional patios. A quick clean a few times per year is all you need – no scrubbing or staining required, no worries about mildew or weeds poking through. Along with that, you’ll get a great warranty so you can relax knowing you’re covered. As your backyard oasis grows over time, you can have a lack of cohesiveness that leads to a disjointed overall look. Recovering your patio and sundeck/pool surround with a vinyl membrane lets you combine two or more spaces to make them appear part of the same design. 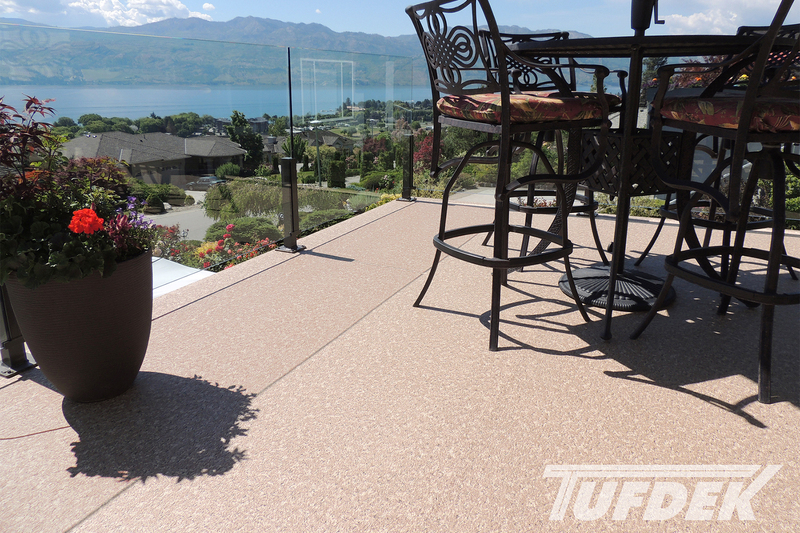 Using a Tufdek™ vinyl surfaces can give your backyard space a whole new look. If your vinyl patio could use a retrofit, check out the whole Tufdek™ range of vinyl patio deck flooring products to find one that complements your home.